Hello Guy's. Many users are facing the same problem. Their UI keeps crashing and they can’t help it. It gets really frustrating, I know! So, here is a quick guide to help all you guys out.. There are many errors that affect Android smartphone, especially in speed and performance. Sometimes ago, I published an article on how to resolve "Unfortunately, App has stopped" and the numerous ways to resolve the issue. 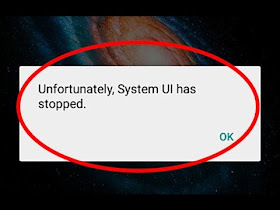 Now, in this article, you will be acquainted on how to resolve "Unfortunately, system UI has stopped" error, which is one of the most popular errors that affects many Android phone users. This error can make your smartphone less responsive, seize your phone and render your phone useless by hanging all the time. It can freeze and hang your phone because is the UI (user interface) that has issues. The error usually happened due to recent app updates or your phone RAM might be too low to handle all opened and running background applications. Infinix, Xiaomi, Gionee and many smartphone users do encounter this error, due to Google updates or their app and third party applications. 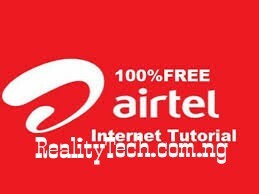 However, you can resolve the issue with these three (3) steps provided. SAFE MODE - Try booting up your device in safe mode. This should be done, if the above step doesn't work. Switch off the phone. The power it on and as soon as Samsung logo appears, immediately release the Power key and then press and hold the Volume Down button. When you see Safe Mode on the lower left corner of the screen, release the button. CACHE - It maybe that your cache files are corrupted. Once corrupted and the new system uses them, this thing could happen. This can be done in the following manner. Switch off your phone and turn it on again. Press and hold the Home button, Volume buttons and the Power key at the same time. On vibrating, release only the Power key. After the Recovery Screen appears, leave all the buttons. Now use Volume button to toggle and Power key to select the ‘wipe cache partition’. When the process is complete, select ‘Reboot system now’ and restart the phone. FACTORY RESET - This should work for sure. Just backup all your data and factory reset your phone. You need to reinstall all the apps and all the updates. This will take a lot of time and effort on your part but will surely work. These are the best solutions in fixing those problems. Sometimes, lower RAM causes the freezing and seizing of applications even the UI (User interface) and therefore, force it to stop functioning. That's why you had to restart your device whenever the problem occurs.